Well Starships is a huge disappointment. And the really difficult part for me right now is to try and dial back my disappointment into an actual review of the game. Of course the game isn't as deep as Civilization or as punishing as XCOM--it was never meant to be. It doesn't have a complex political system and deep city management because that's not the focus. 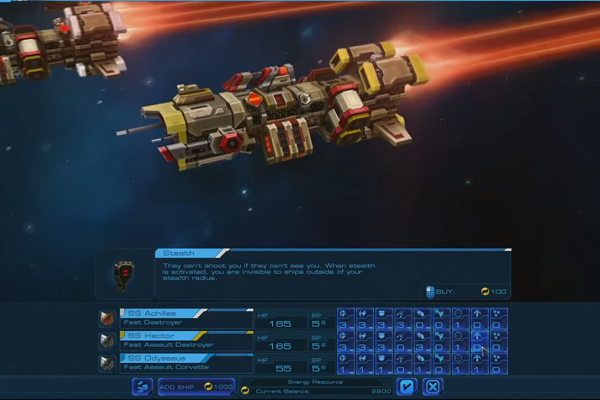 The leaders from this game aren't new, they're the ones from Beyond Earth, the previous game put out by Firaxis, and they reflect the way their planet's been specialized. They've gone beyond needing to care about individual planets, and started reaching out to the stars! The focus is on your fleet! On exploring the galaxy and finding new planets and engaging with them, earning them over into an alliance with you as you make your way beyond the stars, finding out what sorts of new and incredible adventures wait for you out there! Well if this is what's out beyond the stars, I think we can stop wasting our money on space travel. This thing's hollow--it goes on forever... my god, it's full of tedium! Hollow and going on forever. Thanks, Arthur C. Clark, you inadvertently gave me the perfect way to describe Starships for those reading at home! Starships feels hollow because it just doesn't have much nuance anywhere. You have one task--control the majority of the galaxy. As soon as you hit 51% you win! Which is kind of easy and kind of hard, and not just because of the boredom that overtakes you partway through. It's easy because gaining influence over the planets takes very little. Any successful mission gives you 25% influence, and taking shore leave on a planet gives you another 25%. However, if an enemy controls a planet, a successful battle against their local armada gives you immediate 100%. But the same holds true for the other characters who fly around and complete missions and gain influence as well in the same way, and you'd have to deploy your local armada to defend your ship. And as far as I could tell that's really the way the game goes. You go do a mission that loads into a turn-based battle that has 0 depth beyond "weapons do more when you're close and less when you shoot through asteroids first." And then every mission is some variation on that kind of battle and... you do that until you have 51% of the galaxy. It's also not just the fact that there's one victory condition, because most games are like that. It's that there's so little to the condition. At the PAX panel I went to where they showed off the game, they had a mission where they beat the enemies in the space of two turns. I was baffled to find how that's true of the entire game, unless you turn up the difficulty. Doing that doesn't make the fights more fun, just more difficult, since there's not really tactics. Flanking doesn't matter. There really isn't much for cover. There aren't even dice rolls. Everything just goes like it says and then the battle is over. And then you do it again, and again, and... well you get the point. You don't really work with an enemy diplomatically except to not attack each other for a while, but trades and all of that don't really matter. The game isn't supposed to be that deep, but it sort of pays lip service to it in a way that makes you wish there was more. You can open a city screen and kind of control it. You can sort of talk to other leaders. But there's no reason to. All you want to do is complete your turn and fill those bars and play bad battles. It's shocking to think the company that brought us the excellent XCOM could bring us such terrible turn-based battles. The brilliance of the tension in that game replaced by a simple game of having higher stats and then making the enemies go away. Much like the rest of the game, it seemed like a place there could have been depth, and instead, there wasn't any. Plus we're currently at a weird glut of space games. Go find something else, it'll probably be better. My first thought as soon as I opened the game was "wow this feels cheap." The feeling never went away, and just got even deeper. I was incredibly excited to see what the game would be like since it could be played on the go on an iPad, but if this is how they had to hamstring their design to fit a system like that, I'd rather keep the dream of on-the-go Firaxis games as just that: a dream, since the reality is just a disappointment. Civilization V is one of the best strategy games I have ever played. There are some issues but those are so minor in comparison to all the great things Firaxis has done to not only make this accessible to new players but even returning players as well. I can say with great confidence that you will not get a better game of strategy right now then what Civilization V has to offer, it is just that good. Really, the best part about Brave New World is that it's finally addressed every victory condition in the game and made each one not only more equally viable, but also just as busy. Weaponizing culture works to bring it more in line with the other conditions--it's something you have to work towards and not something you just happen to achieve. On top of that, the diplomacy changes make this system more interesting as well, and it all comes down to one thing: if you have Civilization V and want to play more, you owe it to yourself to get this expansion. It’s still that same great Civ experience, but it adds a lot more and does some smart things to change up the balance. This is a highly polished package that goes a long way to add a lot more lasting strategy concepts to Civ V, making it more of the experience people wish it was- a deep, more rewarding game. Those few returning flaws aside, XCOM 2 is an experience. Much like its predecessor, Firaxis again delivers a fantastic mix of tactical combat and strategy, held together by an almost scarily stressful bow bathed in the blood of your fallen warriors. If you have any interest at all in turn-based games, you owe yourself this game as a gift, and honestly, even if you have little to no interest, playing this may just get that engine started. I think this may be the first unmissable game this year. Like every entry in the series, Civ VI will no doubt be followed by a number of rebalancing tweaks, small changes, and expansion packs but fresh out of the digital box, Civilization VI is simultaneously familiar, fresh and remarkably fun.